1st album of PsysEx including "#417" . It is Miei-do in Toji temple on the jacket. PsysEx - #424_ii~original phrase mix(snoweffect remix) - 0:55 � 00.00 Buy this Song ! PsysEx - #417 - 7:05 � 00.00 Buy this Song ! PsysEx - #423 - 4:51 � 0.00 Buy this Song ! PsysEx - #401 - 5:40 � 0.00 Buy this Song ! PsysEx - #416 - 5:21 � 0.00 Buy this Song ! PsysEx - #408 - 4:37 � 0.00 Buy this Song ! PsysEx - #401_ii~patchware and pitchtape(So Takahashi remix) - 6:59 � 00.00 Buy this Song ! 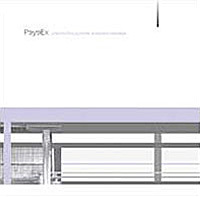 PsysEx - #405_ii - 6:28 � 00.00 Buy this Song ! PsysEx - #424 - 3:59 � 0.00 Buy this Song ! PsysEx - #421 - 5:15 � 00.00 Buy this Song ! PsysEx - #405 - 4:43 � 00.00 Buy this Song ! PsysEx - #415 - 7:03 � 00.00 Buy this Song ! PsysEx - #413 - 7:34 � 00.00 Buy this Song !